Ciutadella (or Ciudadella) - Situated on the west coast of the island, Ciutadella is a stylish place to visit that is well known for sumptuous fish restaurants serving the local catch of the day. Originally the capital of Menorca, the city has much history and many interesting sites to visit. 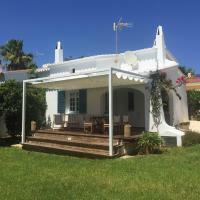 Located an 8-minute walk from Wind Fornells Windsurfing and Sailing School and a 6.9 km drive from Punta Nati Lighthouse, this lovely apartment is in Ciutadella, Menorca. 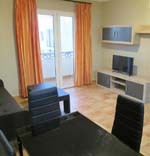 There are two bedrooms, a living room with flat-screen TV and free Wi-Fi throughout. The kitchen comes fully equipped with an oven and dishwasher. The bathroom features a bidet and complimentary toiletries. Carema Club Resort is an all-inclusive complex of Menorcan-style apartments with tiled roofs and white exteriors, situated around an outdoor pool in Playas de Fornells. The resort of Playa de Fornells is on Menorca's north coast and features groups of villas and apartments situated around Cala Tirant beach, which is 250 metres from the apartments. Guests can work out on the fitness equipment, soak up some sun on the terraces and cool off in the outdoor pool with poolside bar. 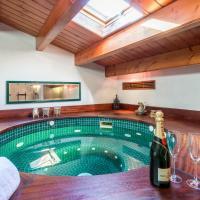 There is a sauna and spa tub, and a disco. other amenities include a 24-hour front desk, nearby parking and an onsite supermarket. Carema Club Playa offers 40 apartments located on four floors, all of which have light decor, wooden furnishings and terraces or balconies with sea, garden or pool views. The lovely, three-bedroom air-conditioned holiday home offers a pool table, barbeque and Jacuzzi and is located 40.2 km from Ciutadella. The kitchen features an oven, dishwasher and microwave. The living area has a TV. Two of the bedrooms feature double beds, while the third has twin beds, making it ideal for families. There is a terrace or sundeck. Located just outside Sant Lluis, this holiday home offers a garden, terrace and barbeque. There is also free Wi-Fi throughout the house. The living area features a flat-screen TV with satellite channels. The kitchen offers an oven, dishwasher and seating area. One bedroom has a queen bed while the second has twin beds. There is a bathroom with a shower. Bicycle and car rental are available at the property. Air-conditioned apartments with a seating and dining area, flat-screen TV with satellite channels and a well-equipped kitchenette. Some units have a balcony or terrace with sea or pool views. Free parking and Wi-Fi are provided to guests, as well as an outdoor pool with sun beds. 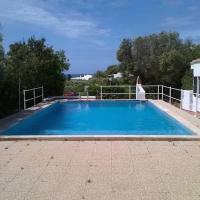 The beach is a short walk away and there is an on-site restaurant, tennis and billiards. Bedrooms feature twin beds and some units have a sofa bed. This four-bedroom apartment is located in Son Parc and offers a pool and garden views. The living room features flat-screen TV and the kitchen comes well-equipped, including a dishwasher. There is air-conditioning and free Wi-Fi throughout the property. One bedroom has a double bed while the other three bedrooms feature twin beds, making the home ideal for families.